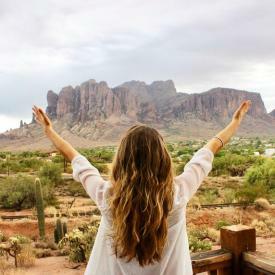 Located in the Sonoran Desert, Mesa is surrounded by a rich, vibrant and verdant playground for sought-after outdoor recreation. From hiking mountain tops to kayaking along calm rivers and canyon-carved lakes, nearly every outdoor pursuit can be experienced here in City Limitless®. When you want to share your adventure, don’t forget about our new Limitless Geotagging Adventure Explorer hashtags! Downtown Mesa is home to dozens of thriving small businesses; from bakeries to boutiques, antique shops to book stores, and more! Treat yourself when you browse any of the fantastic shops that line Main Street - Desert Blossom Salon & Boutique, Mezona Market and Antique Plaza to name a few! You’ve GOAT to see it to believe it! 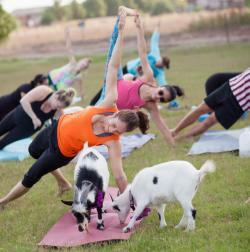 Arizona Goat Yoga gives yogis the chance to relieve the daily stresses of life by combining yoga with goats roaming on a farm. During the guided yoga class, these gentle and loving animals wander the fields and even jump into the action. 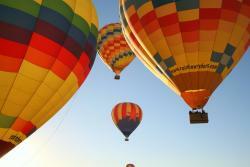 If you haven’t yet tried this unique and fun activity, be sure to add it to your list! In Mesa, our bountiful harvest is one that we proudly share with our visitors all year long. Here, fresh experiences and a treasured heritage of family farms and long-standing festivals make for lasting memories. Locals and visitors alike can enjoy every stop the Fresh Foodie Trail® has to offer, such as Queen Creek Olive Mill, Superstition Dairy Farm, True Garden and more! Every March, fans far and wide catch baseball fever as two Major League Baseball teams settle in at Mesa stadiums for a month-long season of spring training. Cheer on the World Champion Chicago Cubs at Sloan Park or Oakland Athletics at Hohokam Stadium. Spring training in Mesa is a home run! Arizona’s craft beer scene keeps on brewing. Mesa offers a popular collection of micro-breweries with an array of drafts that are unique and refreshing. With breweries in every pocket of the city, such as Oro Brewing Company, Desert Eagle, Cider Corps, Beer Research Institute and more, picking a favorite will prove challenging! Rise above and take in the most unique, breathtaking views of our City Limitless® when you take a hot air balloon ride with Hot Air Expeditions or Rainbow Ryders this year! 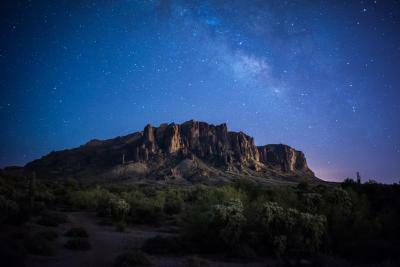 It&apos;s a sky-high adventure you won&apos;t want to miss during your next trip to Mesa. 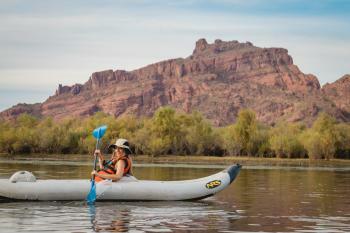 Arizona may be known for its desert landscapes but there is no shortage of waterways to explore when visiting Mesa. Here, three lakes and two rivers allow for desert boating, fishing, rafting, paddle boarding, kayaking, water skiing, wake boarding and jet skiing – and tubing, Arizona’s floating picnic. Enjoy year-round access to our refreshing desert oases! Arizona&apos;s largest arts center is a stunning facility in the heart of Downtown Mesa that offers live entertainment, performances, world-class visual art exhibitions and arts education classes. Mesa Arts Center hosts exciting events, family-friendly festivals and new shows all year long! The streets of Downtown Mesa have no shortage of beautiful, inspiring artwork for visitors to enjoy. From life-size sculptures to radiant murals, our public art is a sight to see! Dive into the public art walk Downtown and see for yourself. 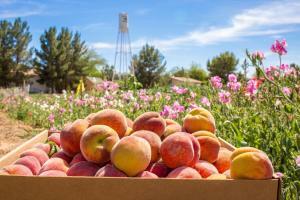 Many newcomers are surprised to know that some of Mesa&apos;s local farms are known for their peach harvests. Schnepf Farms hosts a Peach Blossom Celebration while the trees are in bloom, as well as their annual Peach Festival every spring. It&apos;s a sweet way to celebrate the harvest that you won&apos;t want to miss this year! Have you ever pictured a more fragrant backdrop for your Instagram photos? The Rose Garden at Mesa Community College is host to nearly 9000 rose bushes and is a centerpiece for community and education in the East Valley. The best time to see the Garden is during the months of late March, April, May, June, November, and December. 13. Biking Trails for All! Both amateur and avid bikers alike will find their fix in Mesa! There are more than 90 miles of bike routes and 600 total miles of bike lanes and pathways to discover. 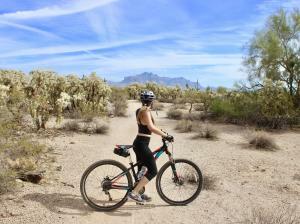 We can&apos;t forget about the close access to great desert mountain biking trails around the city either, so be sure to try exploring via bicycle while you&apos;re here. 14. 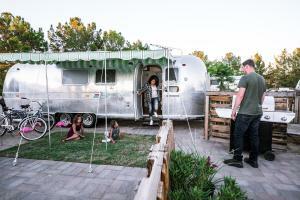 Glamping is Camping in Style! Have you heard about glamping? Get in on this new trend when you visit Mesa this year, which combines the outdoor-camping experience with the comforts of a luxurious stay! Keep an eye out for new glamping attractions at Schnepf Farms and other destinations around our City Limitless®. There&apos;s nothing better than sharing a fun, new experience with your family. Be sure to take advantage of Mesa&apos;s new Pioneer Park on Main Street during your next visit. Alongside a fantastic selection of museums, including the i.d.e.a. Museum and the Arizona Museum of Natural History downtown, you can bet there&apos;s no shortage of family-friendly activities and experiences in Mesa! Fall in love with our beautiful desert scenery from any of the wonderful parks and hiking trails available in Mesa. Need we say more? Mesa is home to renowned golf courses featuring breathtaking views of sweeping vistas set against the natural beauty of rugged mountains and blue Western skies. Tee up at We-Ko-Pa Golf Club, Longbow Golf Club, Augusta Ranch Golf Club, Las Sendas Golf Club, or Arizona Golf Resort. Whenever you visit, enjoy a relaxing and comfortable stay at these Mesa hotel properties while you explore all that our region has to offer: Phoenix Marriott Mesa, Sheraton Mesa Hotel at Wrigleyville West, Residence Inn, Dobson Ranch Inn, Best Western Plus Mesa, Holiday Inn, Hilton Phoenix Mesa, Country Inn & Suites, Courtyard Phoenix Mesa, Cal-Am Resorts or Westgate Painted Mountain.